Bordering Australia, New Caledonia, Papua New Guinea, the Solomon Islands, and Vanuatu, the Coral Sea houses the Great Barrier Reef. 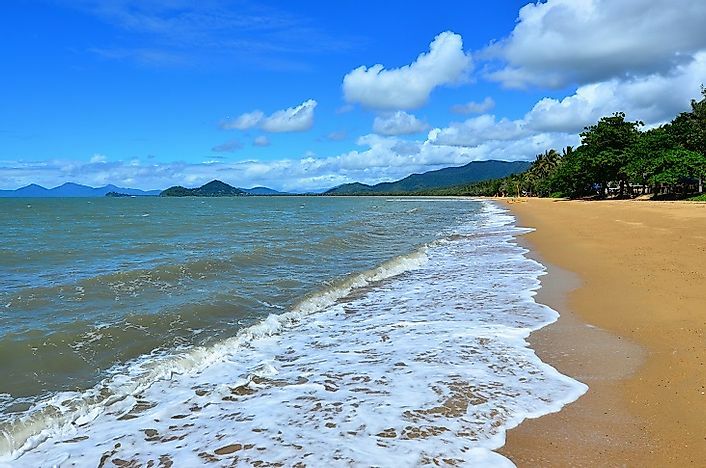 Coral Sea coastline in Queensland Australia. Containing the Great Barrier Reef, the Coral Sea is a vast sea bounded by Australia in the west and by the Vanuatu Islands in the east. It is also known as the interim Australian Bioregion. In the south, it merges with the Tasman Sea while in the north, with the Solomon Sea. It is estimated that the formation of the Coral Sea took place millions of years ago due to an uplift of the Queensland continental shelf. It has been a great coral source for the Great Barrier Reef during its days of formation and after lowering of the sea level. The Coral Sea has a lot of historical significance as a major battle was fought in 1942 to gain supremacy on the same during the World War II. The battle lasted for four days from the 4th through the 8th of May. It was fought between the forces of Japan and the Allied forces of the United States and Australia. Mainly, the naval and air forces were used in this battle. Although Japan got success in the initial stage, the Allied forces ultimately won as the Japanese forces experienced an acute problem of less air cover. The Japanese forces were keen to conquer the Coral Sea because they thought that America could use Australia as a base to attack Japanese islands. However, by conquering the Coral Sea, they could prevent such a possibility. The Coral Sea has a huge environmental significance in the modern times in the wake of dwindling coral reefs across the world. Being the home of the largest number of corals, the Coral Sea has a thriving marine environment, which is essential for the existence of other marine species on the earth. Thus, for the sustainability of the fishing industry, it gave employment to countless numbers of people. The biodiversity is high in the Coral Sea with more than 2 million marine species found in it. These include fishes, urchins, turtles, sea horses, clams, lobsters, crabs, algae, sharks, shrimps, sponges, octopuses, and monk seals. There are whales and sharks as well as rare sea creatures in the sea. It is also a home of countless sea birds. Researchers are still finding new species in this vast sea each year. The recent rises in global temperatures and excess fishing have posed serious environmental threats to the Coral Sea. Large-scale exploitation of oil and natural gas is also a major threat. Globally, corals are vanishing from the sea. As all marine species depend on these corals for their existence, this means an immediate danger to the entire marine life. Many species of large fishes and other sea creatures have already vanished or are on the verge of becoming extinct. Thus, a threat to the Coral Sea home of largest coral reefs in the world can have a disastrous impact on the existence of marine life on the earth. There is a long territorial dispute over the Coral Sea as both Japan and Australia claim to be victorious in the Battle of the Coral Sea in 1942. 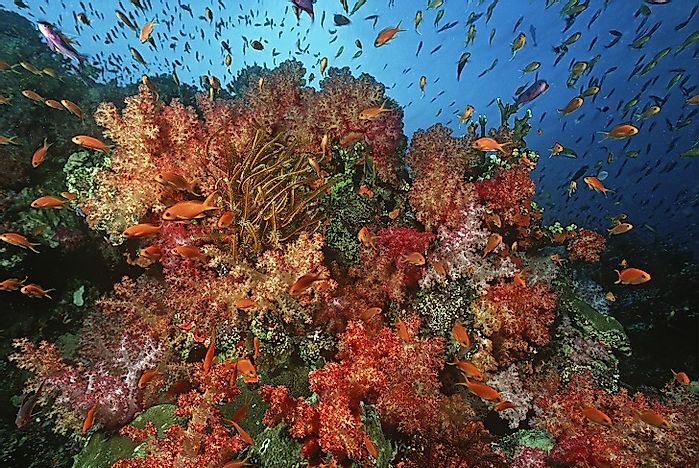 How Many Types Of Coral Reefs Are There? How Serious Is The Problem Of Coral Bleaching?